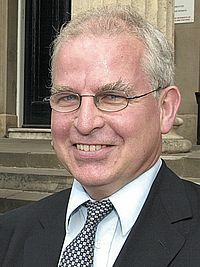 Programme Director for the Diabetic Retinopathy Programme in England (since 1st August 2002, prior to introduction in 2003). Agreement and reasons for disagreement between photographic and hospital biomicroscopy grading of diabetic retinopathy. Diabetic Medicine 2011. E-pub ahead of print. Why do patients still require surgery for the late complications of Proliferative Diabetic Retinopathy. Image quality standardisation for diabetic retinopathy screening. Diabetic retinopathy and socio-economic deprivation in Gloucestershire. Visual acuity measurement and ocular co-morbidity in diabetic retinopathy screening. The English national screening programme for sight-threatening retinopathy. Reported symptoms and quality-of-life impacts in patients having laser treatment for sight-threatening diabetic retinopathy. Diabetic Medicine 2006. 23(1): 60-6. The influence of age, duration of diabetes, cataract, and pupil size on image quality in digital photographic retinal screening. An evaluation of the change in activity and workload arising from diabetic ophthalmology referrals following the introduction of a community based digital retinal photographic screening programme. Br J Ophthalmol 2005 89(8):971-5. The effectiveness of screening for diabetic retinopathy by digital imaging photography and technician ophthalmoscopy. Diabetic Medicine 2003. 20 (6), 467-474.